Mr. Cave graduated from the University of California Los Angeles in 1979 with a B.A in Economics and received his law degree from Santa Clara University, Santa Clara, California in 1982. 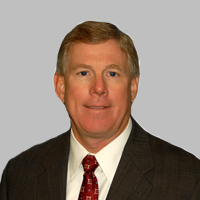 Upon graduation from law school, Mr. Cave joined the law firm of Miller, Morton, Caillat & Nevis, LLP as an associate in 1982 and eventually became a partner, specializing in real estate and business law handling both transactions as well as litigation. Mr. Cave left Miller Morton in 1988 to found Groom & Cave, LLP. Mr. Cave has extensive experience in all aspects of general business and real estate law. Such practice includes the acquisitions and sales of businesses and all types of real estate, commercial real estate leasing and all aspects of landlord-tenant matters, financing, entity formations, joint venture agreements, design and construction contracts, CC&Rs and owners associations, title insurance, tax-deferred exchanges, brokerage agreements and property management.